Island Mazda of Staten Island, NY proudly presents the all-new redesigned 2017 Mazda CX-9. Mazda has redesigned its three-row SUV, moving the CX-9 to the company’s latest vehicle architecture. Among the notable changes, the all-new flagship vehicle brings a turbocharged 2.5-liter four-cylinder engine and significant weight reduction. Although it is not on sale until next summer, we had a chance to drive on right after its world debut at the 2015 Los Angeles auto show. 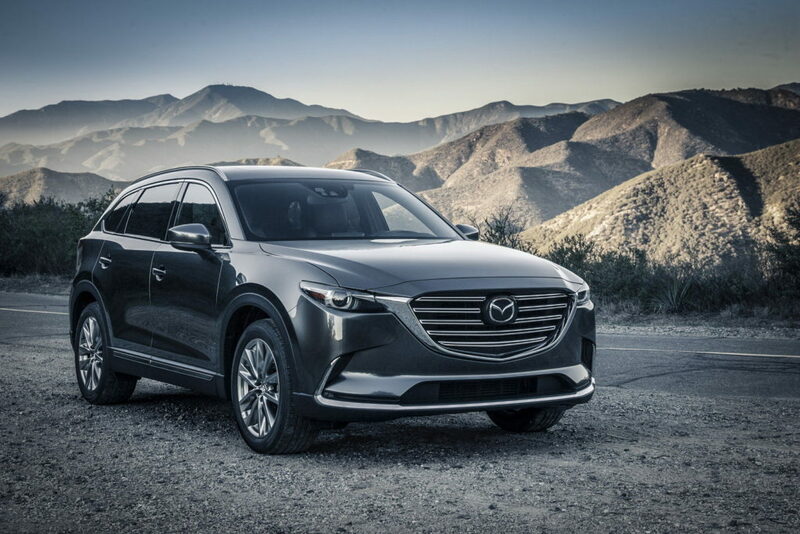 In the process of moving the CX-9 to Mazda’s current engineering philosophy called Skyactive (as demonstrated with the compact 3, midsized 6, and CX-5 small SUV), the CX-9 has shed some 250 pounds, partly due to jettisoning the heavy-and-thirsty 3.7-liter V6. The diet allowed adding some sound insulation to achieve a quiet cabin—a trait typically not associated with Mazda. With a slightly shorter overall length than the outgoing CX-9, the latest iteration gains a couple of inches in the wheelbase. While it has a more dynamic stance, the third-row seat appears to be less roomy than before. Acknowledging the notion that small-displacement turbocharged engines don’t deliver the real-world fuel economy expected of them, Mazda Vehicle Development Engineer Dave Coleman explains that the development team focused on drivability and fuel economy rather than trying to hit a specific number in terms of horsepower. And, in an unusually candid way, Mazda specifies two horsepower ratings: 227 hp for regular fuel and 250 hp for premium. Peak torque of 310 lb.-ft. is available from 2000 rpm, intended to provide a smooth and effortless power delivery: more on that later. Mazda’s gorgeous, totally redesigned second-generation CX-9 is lighter, more upscale and more tech-savvy than the previous model. It features a turbocharged 4-cylinder engine that delivers more accessible oomph than the adequate but dated V6 it replaces, and also offers significantly improved fuel economy. Stop by Island Mazda of Staten Island, NY and check out the all new 2017 Mazda CX- 9 and take it for a test drive today!